Here at TekSupply, we believe managing your home, business or garden center should be as stress free as possible. Installing controllers, thermostats and timers in your greenhouse, barn or warehouse can help reduce energy costs and cut down on manual labor. Before purchasing a controller, there are a few questions you should ask yourself. First, what are the ratings of the items you are trying to control? For example, do you know the voltage, amperage or horsepower of your fan or heater? It is also important to be sure of how many items you want to control. Last, how are you trying to control these items? Do you want to control them with a timer, thermostat or something different? Once you have these questions answered, it will be much easier to decide which controller is right for your needs. Speed Controllers: Speed controllers are meant to adjust the speed of a variable speed capable motor. You can attach one to your fan motor, for example, to control the speed of the motor when you want it to run at less than 100%. At TekSupply, we offer a variety of variable speed controllers for your needs. Depending on how many volts you need your controller to run on, the amp rating of your fan and how many fans you want to control on one unit, the right controller for you may differ. We recommend working with a knowledgeable National Account Manager or contacting us via Live Help to find the ideal unit for your specific application. Environmental Controllers: Environmental controllers can help regulate many aspects of your greenhouse or barn environment. From humidity to lighting to ventilation, you will be in total control of the climate your plants' or animals' experience. 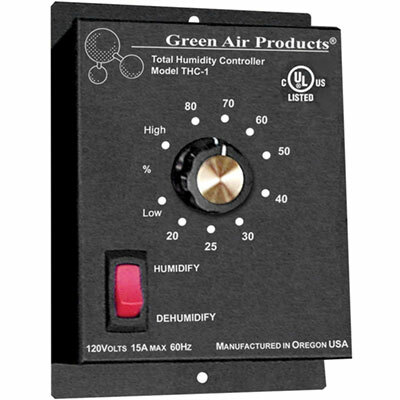 Our Total Humidity Controller is specifically designed for the control of plant growth in greenhouses and other growing environments. It is designed to attach to humidifying and dehumidifying equipment including exhaust fans and foggers. This unit is 120/115 volt with a 15 amp maximum switching capacity. Our Ventilation and Humidity Controller is an integrated cooling thermostat and dehumidistat that can turn exhaust or intake fans on and off to remove excess heat and humidity. This unit also runs on 120/115 volts with a 15 amp maximum switching capacity. 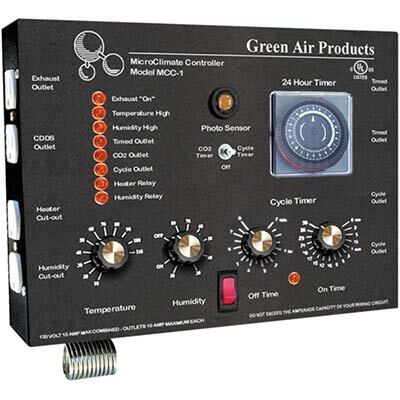 Our Micro Climate Controller addresses every aspect of the growing environment and is easy to install and operate. This unit is able to control temperature, humidity, carbon dioxide enrichment, lighting and irrigation. 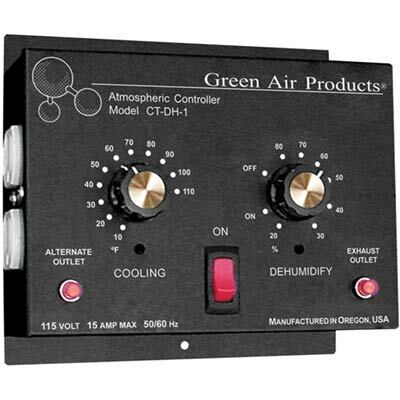 The Micro Climate Controller should only be used indoors and runs on 120/115 volts with a 15 amp maximum switching capacity. 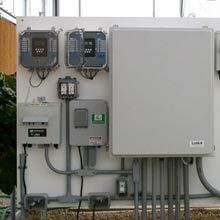 Barn and Greenhouse Controllers: TekSupply offers Phason controllers for your barn and greenhouse needs. 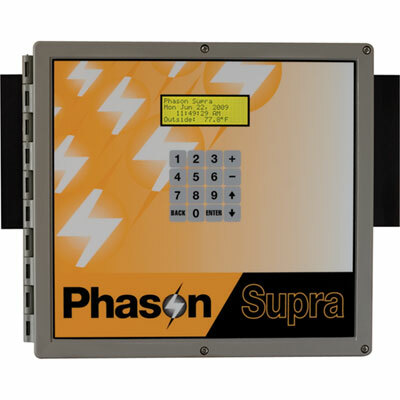 Phason controllers are the most advanced controllers for the progressive farmer or greenhouse grower. 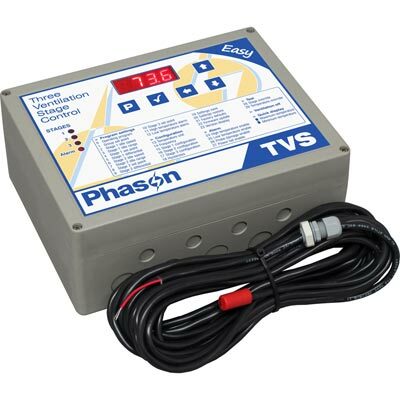 TekSupply proudly carries a large line of Phason controllers for different applications. It is important to note that all Phason controllers need to be hardwired and come in 115/230 volts. They are also CSA certified, water and corrosion resistant and come with a two year warranty. Phason Controllers are available for a variety of applications including temperature, speed and electronic curtain control. For more information on individual Phason controllers, visit our Thermostats and Controllers page. 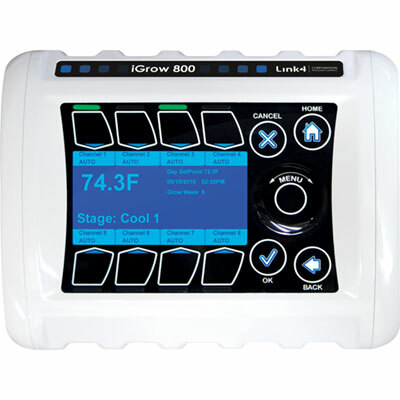 Greenhouse Controllers: iGrow controllers from TekSupply are the latest in greenhouse environmental automation for growing operations of all sizes. Just one unit can control heating, cooling, humidity, lighting and more, while improving crop quality and reducing energy costs. 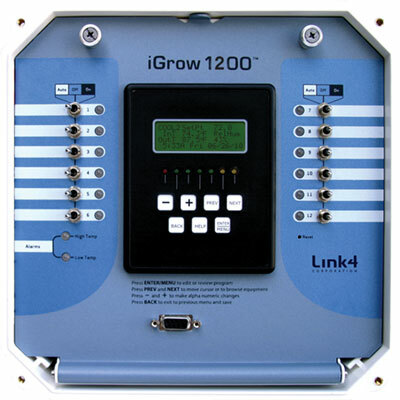 Available in different sizes, iGrow Controllers can have up to 12 outputs in one unit. For more information on this line of controllers and accessories, we recommend contacting a National Account Manager who can help you design your ideal system. Thermostats take action based on a temperature reading. For example, if the temperature in your barn, greenhouse or warehouse rises above a certain point, the thermostat will trigger fans to cool it down. Thermostats are perfect for controlling fans and heaters, but can also be attached to power exhaust shutters. Thermostats should be kept protected, especially in corrosive environments, to extend their useful life as much as possible. We recommend housing your thermostats and other controllers in NEMA 4 enclosures which have a watertight seal and are corrosion resistant. When installing thermostats, most will have to be hardwired. Thermostats come with a differential of a few degrees. The differential is how many degrees the temperature has to change before your fan or heater turn on and off. This prevents the thermostat from telling your equipment to turn on and off every time there is a slight temperature change. Without this differential, your equipment would constantly turn on and off, increasing your electricity bill and wearing out the motor. Commercial Thermostats: Whether you need to control the temperature of a small hobby greenhouse or a large agricultural building, we have a DuroStat Thermostat that will fit your needs. Our line includes single and double NEMA 4 thermostats, watertight thermostats and more. 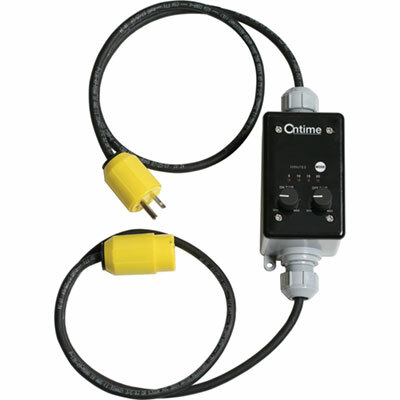 For livestock housing applications, our DuroStat NEMA 4X Curtain Controller Thermostat is perfect for controlling temperature in corrosive environments. 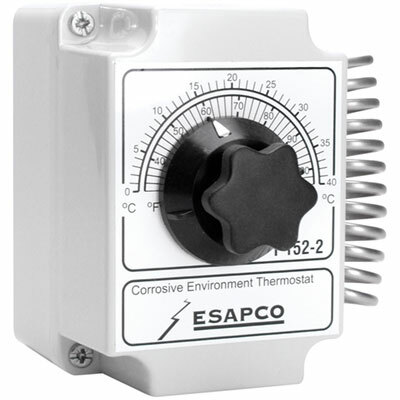 This unit is designed to be used to control curtain/inlet actuators as temperature changes. 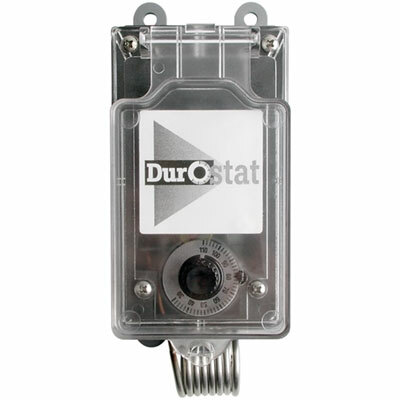 The DuroStat Electronic Thermostat has a clear digital display, the easiest setting and the widest temperature range. More accurate than coil-style thermostats, this unit gives you precise control of fans, heaters and other devices. 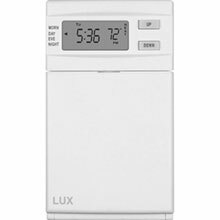 Programmable Thermostats: Our Programmable LuxPro thermostats are sleek, compact and easy to use. The Programmable Line Voltage Thermostat is a cost-effective, energy-saving programmable heating thermostat that features separate programs for weekdays and weekends, with up to four settings per day. These units can be installed in your home or attached to a tube heater in your warehouse or storage building. The Heating and Cooling Programmable Outlet Thermostat allows control of heating and cooling units and ensures you will always have the right temperature. This can also be installed in your home, warehouse or storage building and comes with a 120 volt outlet. Before you decide on a timer, make sure you have all the information you need to make an informed choice. First, you need to determine the cycle length for your timer. This is the minimum length of time during which the operations occur without repetition. This can be a minute, hour or day. Next, you need to determine the number of operations required. One on/off cycle consists of two operations. You also need to decide on the minimum duration of the shortest on and off operations. Do you know the load and voltage requirements of the equipment you want to control? In order to choose the right timer, you need to know the horsepower and voltage of a motor or amperage and voltage of the object. Next, you have to determine the switch type, or number of items being controlled. The options are single pole single throw (SPST), double pole single throw (DPST), double pole double throw (DPDT) or a less standard option. The NEMA rating of the timer you are interested in is also important. The NEMA rating for electronic enclosures that are available for timers are Type 1 metal box for indoor use where no oil, dust or water is present or the Type 3R non-metallic box for outdoor use and protection against rain, sleet and snow. Last, determine if you are looking for a mechanical or electronic timer. If timing accuracy is required, then choose an electronic timer. These require initial programming and battery upkeep. The mechanical models are simpler, but may require additional tripper pins for their applications. At TekSupply, we offer analog and electric timers, as well as watertight units. 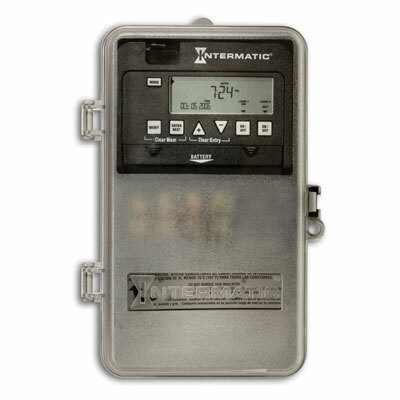 24-Hour Timers: Our 24-hour Intermatic timers are ideal for industrial, commercial and residential applications. All Intermatic units are 24-hour timers and include one set of tripper pins. Depending on your needs, we offer an electronic switch timer and watertight timers, besides the basic 24-hour timers. For help choosing the timer for your application, feel free to contact us. 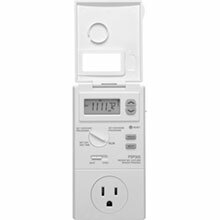 Percentage Timers: Percentage timers have precise cycle timing that saves energy costs and improves heating and cooling. Our Electronic Percentage Timers allow totally electronic control from 0 to 60 minutes. Both units come with a NEMA 4X polycarbonate waterproof enclosure that can be used in harsh agricultural environments, as well as outdoors. 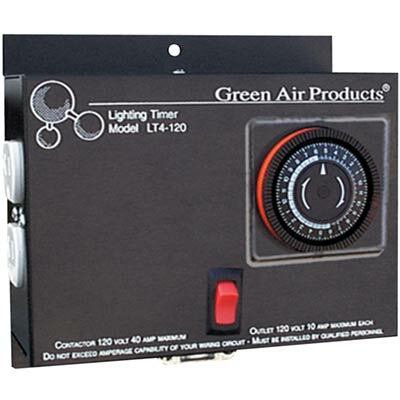 Use Electronic Percentage Timers to control fans, heaters, misters and any other device requiring an on/off cycle. Both units are 30 amps and 50/60 Hz, but the prewired version comes with our Cooper Arrow Hart AutoGrip corrosion-resistant plug and connector. Lighting Timers: To control your greenhouse lighting with ease, install a High Load Lighting Timer to turn lights on and off for you. 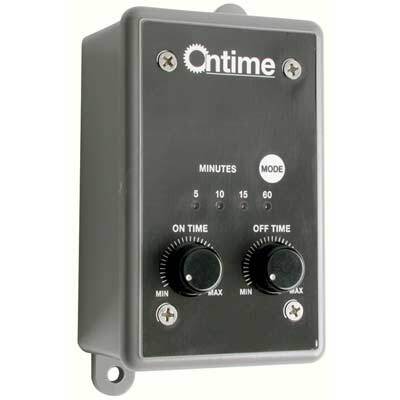 These 24-hour timers are easy to program and operate and have a 40 amp switching capacity. This unit includes 96 non-detachable 15 minute on/off trippers and is capable of powering up to 1,000 watts of lighting equipment. 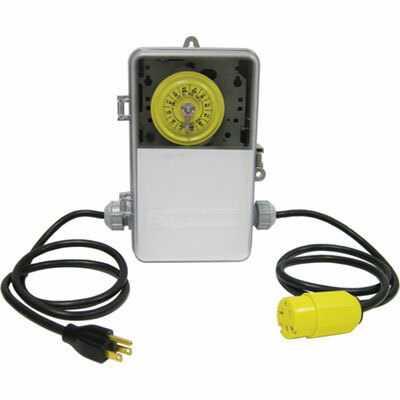 High Load Lighting Timers come in either 120 or 240 volt with four or eight outlets built in.